Ginza, ca. 1873. Fires destroyed Ginza in 1872, prompting the Tokyo Government to contract Irish architect Thomas J. Waters to design fire-resistant Western style buildings. 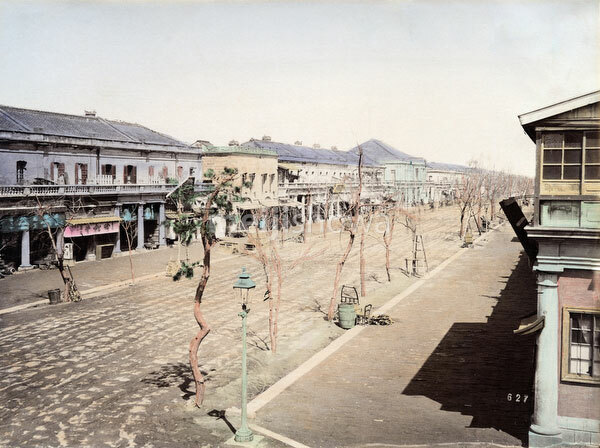 When the multi-year plan was completed in 1877 (Meiji 10), Ginza became Tokyo’s trendiest shopping avenue.